Lohre and Associates' office in Over-the-Rhine ranked highest in certification points. Our greenest buildings list includes several large projects for major institutions, such as the Longworth Wing of the Cincinnati Art Museum. But LEED certification doesn’t have to mean big bucks. In fact, the cost of the No. 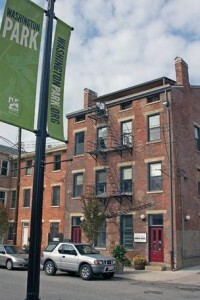 1 project – Lohre and Associates’ office rehab in Over-the-Rhine – totaled just $9,500. Click here to see some of the buildings on our list. And watch for more images on our website. Nancy Bottoms, Spanish Signs of the Times editor, produced a video tour of the office.